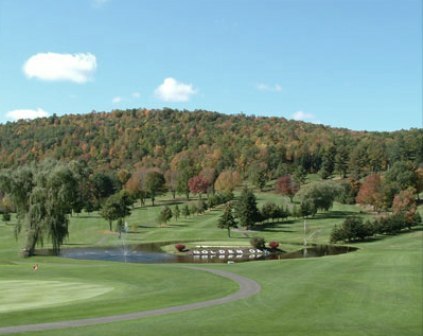 Conklin Players Club is a Public 18 hole golf course located in Conklin, New York. The Conklin Players Club (CPC) golf course opened in 1991. The course was designed by Rick Rickard. 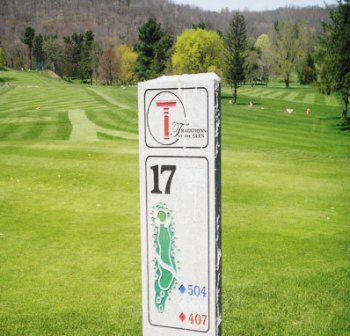 The Conklin Players Club (CPC) golf course's back nine holes were designed to play up a mountain. The fairways are open, and the greens are of medium speed and size. Water hazards (drainage ditches and ponds) come into play on eight holes. Par for the course is 72. From the back tees the course plays to 6772 yards. With 4 tee boxes and the forward ones set at 4,699 yards, golfers of all abilities will find a good test of their play. The longest hole on the course is # 6, a par-5 that plays to 612 yards. The shortest hole on the course is # 10, a par-3 that plays to 143 yards from the back tees. Watch out for # 16, a 363 yard par-4 challenge and the #1 handicap hole on the course. The easiest hole at Conklin Players Club is # 12, a 395 yard par-4. The uplink 3-D color graphic caddy (GPS) system is installed on all golf carts.. I have played this course for many years. 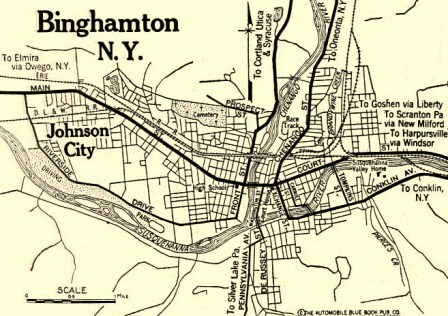 It is about 45 minutes away from my vacation house. Always in great condition. Very interesting holes. Annually, I bring 8 guys up to the house for 4 days of golf and they all love Conklin. Played this course mid morning, so pace of play was good; several groups were lined up on #1 coming off the 9th, so it can get crowded. Overall layout and conditioning of course was great. There were some spots on the fairways that needed some care (probably due to lack of rain recently), but it doesn't get much better than this course for quality at this price. I paid 40 bucks with the CNY Calendar Card, including a cart! Pretty course overall, and a riding cart is almost a must for the back 9 (pretty hilly). Just wish it was about 30 or 40 miles closer to my home town! The staff is very good, including superintendent Rick Brown. Course requires all the shots, greens are excellent, views are very nice, par threes solid, some par 5s reachable in two with right shots which make them nice reward holes. Enough subtle breaks on greens to make them challenging. If you're in the trees, punch out. Period. I played at least 5 courses when last in the area, and the only course that holds up by comparison that I played was En Joie. If you are within driving distance you should come play this course. Great course with GPS on all carts. The GPS certainly helps to keep track of other carts on the course near your hole so that you will not hit into other groups. I also like the electronic scorecard on the cart that keeps track of everynoe in the group. The tee boxes defintely lay challenge to playing the tips. Best course in NYS, turning stone included.